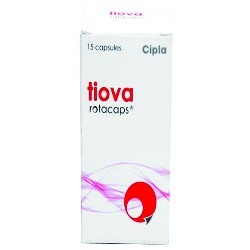 Tiova Rotacaps is composed of Tiotropium bromide which helps in keeping away the breathing problems. 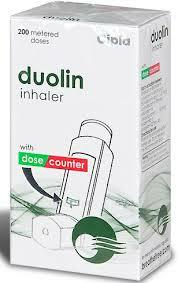 It is a medication for Asthma and other chronic pulmonary diseases. 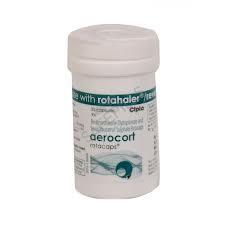 Tiovarotacaps 18 MCG helps for treating symptoms of chronic obstructive pulmonary disease. 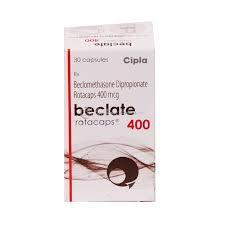 As a precautionary measure, it is preferable to avoid the use of TIOVA Rotacaps during pregnancy, lactation and people with the history of hypersensitivity to atropine or its derivatives. The most common side effects reported when taking Tiovarotacaps include: dry mouth and throat, cough, dizziness, nausea, upset stomach and pain stuffy nose and nosebleed. This medication is a long term treatment and should not be used to relieve sudden breathing problems. 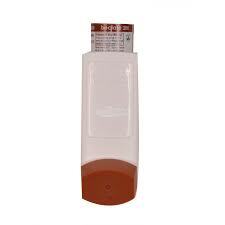 You can buy Cheap TiovaRotacaps online from golden drug shop.